2 - New “Level-1” Escape Rooms Including: “Friendship Food Store #1313” & “Transport” and 1 New “Level-2” Multiple Room Escape Room " Bigger, Longer & More Intense "Phobia 36”….Sponsored by FOX 36 Toledo!!!!! WINNERS also get to enter to WIN a $1,000.00 Gift Card to Friendship Food Stores… Super AMAZING!!!!! Updated 29 Year Hydro Museum and Ghouls Gallery Dark Art Exhibit featuring photos from our Hydro Group Photo Shoots… patrons get to VOTE for their PEOPLES CHOICE top 3 images and at our Year End Awards Banquet we award the winning Model and Photographer for the efforts!!! New Gift Shop, and More! We are your one stop shop for Fun And Fear! 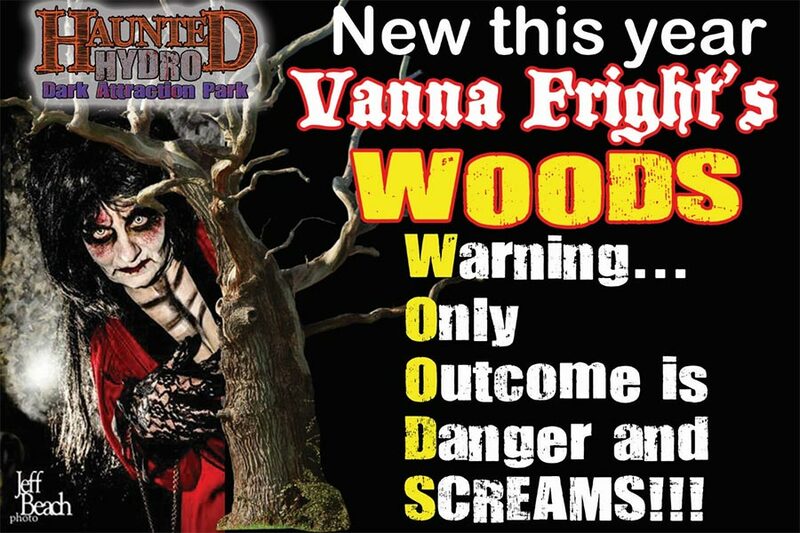 There’s a reason we are in our 29th season.. We do FRIGHT RIGHT! 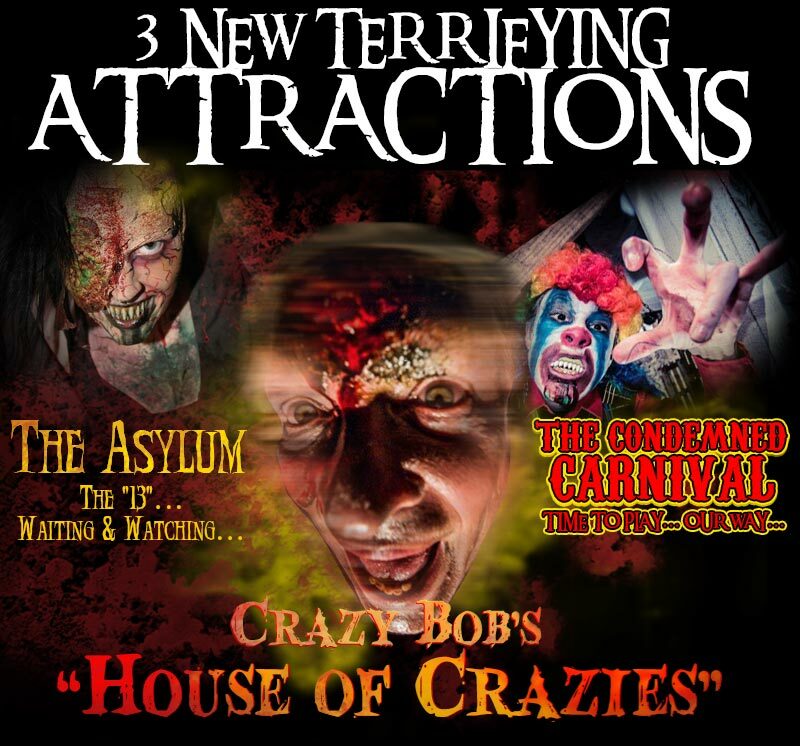 Step into Crazy Bob's: “House of Crazies” where “The Asylum” and “The Condemned Carnival” awaits you. The “13 Ghosts” have taken over and Changed and Manipulated the Confines of the Hydro. Bringing to life their old home. The Asylum. Navigate the twisting corridors and pass thru the exam rooms. Hear the screams coming from the padded cells and steer clear of surgery. Will you find the “13 Ghosts” before they find you? 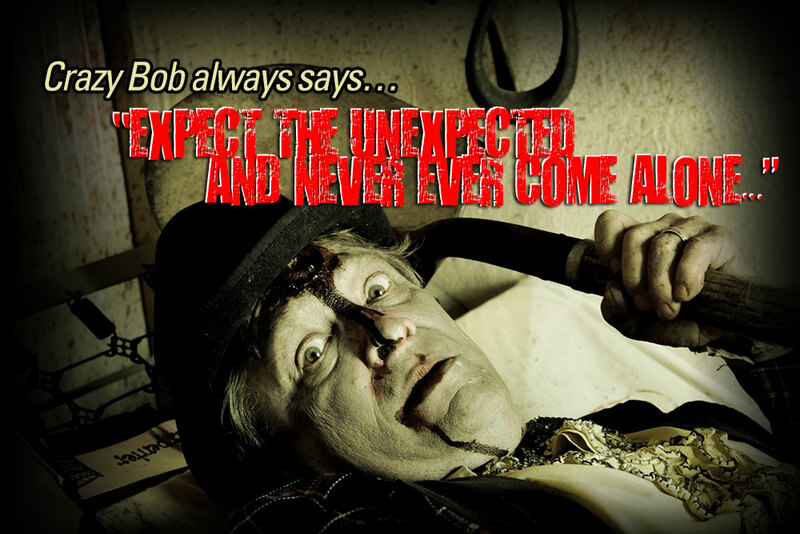 You may end up not just visiting our Asylum but becoming a part of it…! Each season the Owners & management of the HYDRO DARK ATTRACTION PARK and many of their dedicated CAST & CREW team members get together and have a winter BRAIN-STORMING Think-Tank weekend and discuss plans and ideas for the upcoming season. Out of this fun and casual meeting of the MINDS a NEW overall theme for the Park is chosen as well as the names for the 2 major attractions and from there the building, set and scene design, costuming, makeup and character development begins typically as soon as the snow melts! 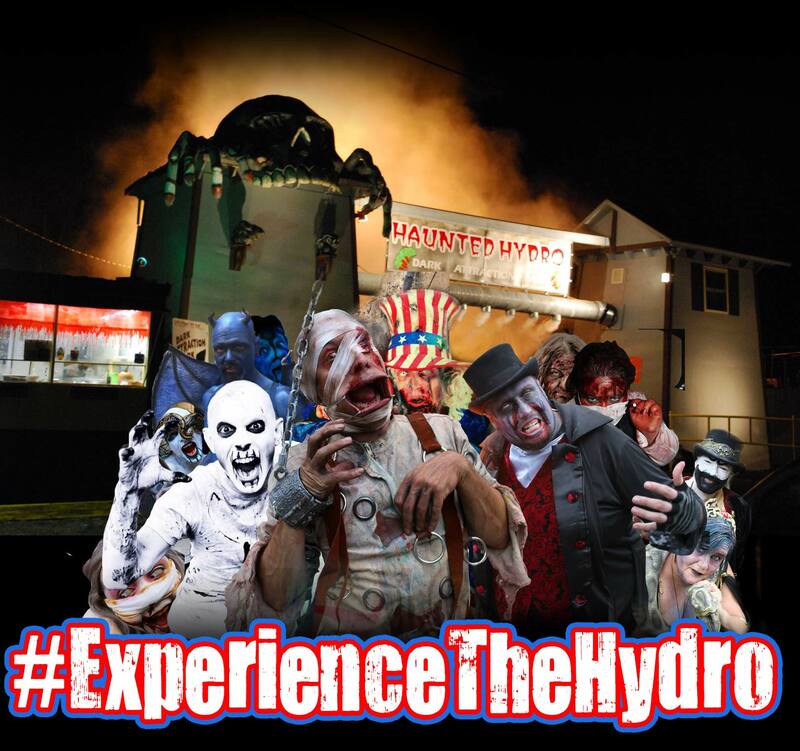 The HYDRO’s philosophy over its “29” Successful Years in the Haunted House business is to involve and engage the people around you that have a passion and a desire to create HALLOWEEN MAGIC and by surrounding yourself with a TEAM of people who share the same vision as you… GREAT things will come out of it!